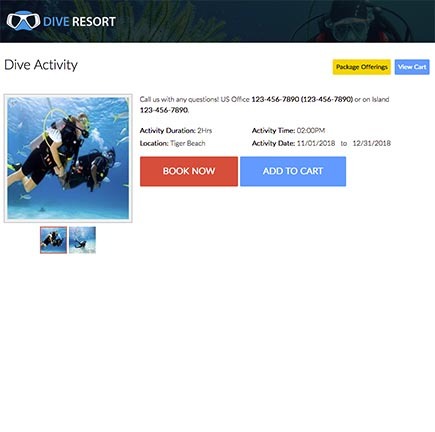 This solution provides the ability to book dive site activities, book a hotel, or book activities and hotel as package. 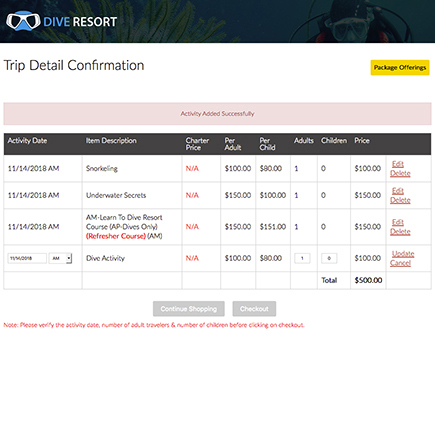 Site admin has the ability to list various diving activities, list hotel, and create packages. 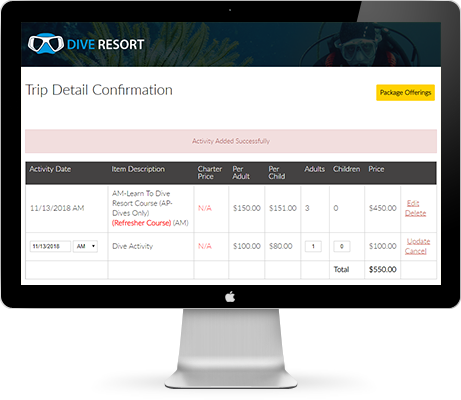 Customers have the ability to book activity/hotel/package directly Or they can contact site admin for booking. 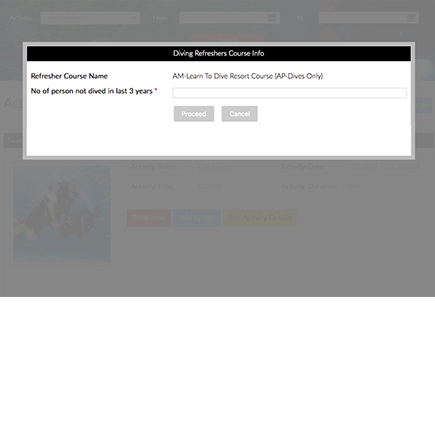 Admin has the ability to view/edit/approve or cancel activity booking. Admin has also the provision to refund (RMA) the booking amount. 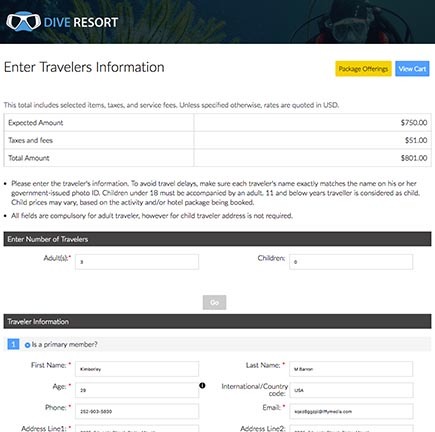 Ability to modify any existing booking and recharge the additional amount. Admin has the ability to view and send invoices along with the ability to view and send vouchers, Provide coupons, apply discounts etc. Ability to manage free pickup facility, pickup information can be sent directly to customers via email. 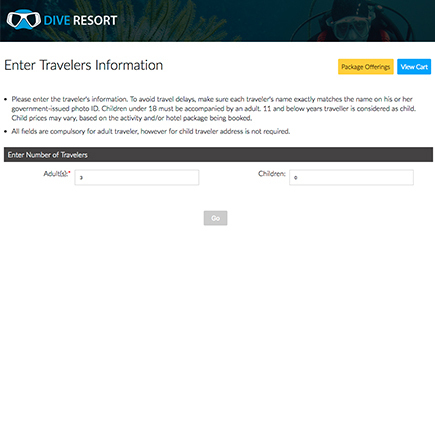 Admin has also the ability to add rates to the activities according to various age groups, various categories, etc. Ability to view drill down revenue reports. Admin has also the ability to manage booking agents and also the provision to manage commission for the booking agents. 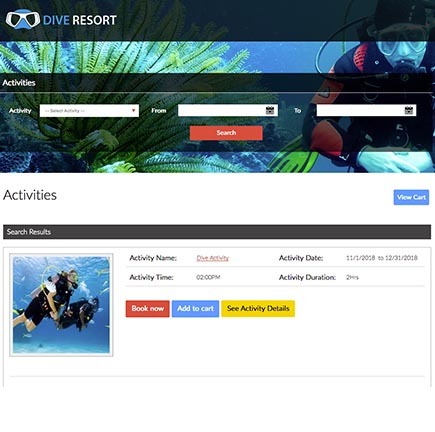 Customers can book online through the booking engine and select the activity according to their age and interest. 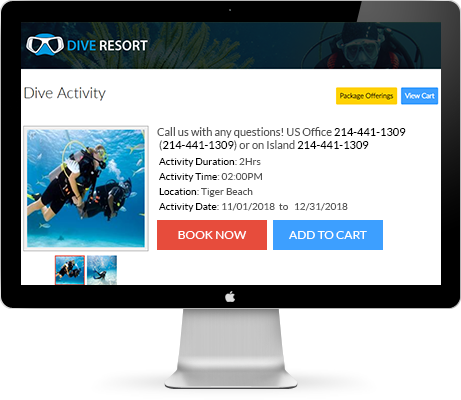 Email notification and alerts are built into the solution for example on successful completion of a booking, a confirmation email will be sent to the customer.